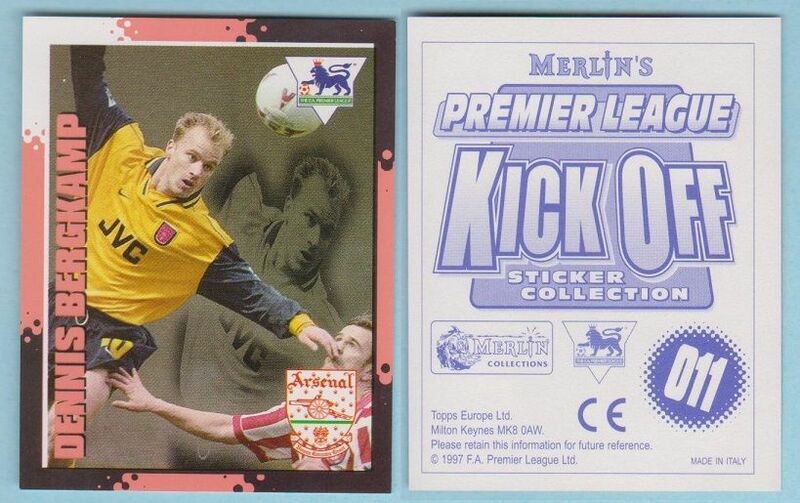 Football sticker issued by Merlin as part of the Kick Off 1997-98 series. This is one of the scarcer Kelloggs cereal packet stickers, as denoted on the back with the "CE" mark. 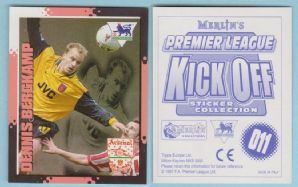 Depicting the Arsenal and Holland star Dennis Bergkamp.